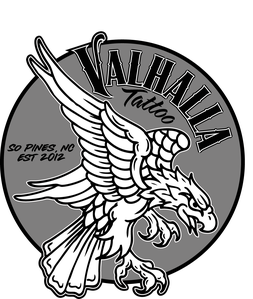 DEPOSIT - Valhalla Tattoo and Gallery "Southern Pines Premier Tattoo Location"
For all appointments we require a $100 deposit. While we usually require a face to face consultation for appointments, sometimes this is not possible or necessary. 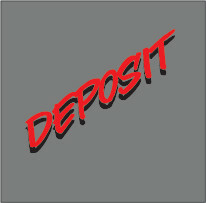 Please do not purchase this deposit unless you have spoken to Chad @ 910-246-1559. Please read, fill out and return the below agreement to info@valhallatattooandgallery.com . ALL DEPOSITS ARE NON REFUNDABLE!!!! !